As the mental health authority in Illinois, the Illinois Psychiatric Society (IPS) has a responsibility to actively participate in the legislative and regulatory process to ensure that our patients’ interests are protected. We actively encourage your support and involvement with our legislative and regulatory initiatives. IPS not only protects our patients by vigorously opposing bills that would be harmful to patients with mental illness or substance use disorders but IPS has introduced legislation in the past to help mentally ill persons as well as to ensure the safety of patients by participating in the regulatory process of drafting the psychologist prescribing rules. 2017: HB 2907: IPS supported this bill that eliminates the requirement of having a healthcare professional in the room with a Medicaid patient who is having a meeting with a psychiatrist through Telepsychiatry. This bill passed and has been signed by Governor Rauner. 2017: HB 1332: IPS supported this bill which adds eating disorders (pica, rumination disorder, avoidant/restrictive food intake disorder and “any other eating disorder contained in the most recent edition of the “ DSM) which were added to the DSM5 to the list of mental illnesses covered by the Illinois Parity law. This bill passed and has been signed by Governor Rauner. Psychologist prescribing: In May, 2014, the psychologist prescribing bill passed in the Illinois general assembly. The bill that passed was actually an amendment that completely revised the original bill introduced by the Illinois Psychological Association. In July, 2015, the Illinois Department of Financial and Professional Regulations (IDFPR) released a first draft of the rules for psychologist prescribing. Since that time, IPS has submitted 3 sets of comments in conjunction with the ISMS to the IDFPR in response to revisions of the rules. On September 12, 2017, the Joint Committee on Administrative Rulemaking did not make any objections to the rules and, therefore, the last comments by the IDFPR will be the final revisions to the rules and the rules will then be published. The required drug is contraindicated. The patient has tried the required prescription drug while under their current or a previous health benefit plan, and the doctor submits evidence of failure or intolerance. The patient is currently stable on a prescription drug. Applies a medical exceptions process that allows patients to request a prescription drug to all health plans in Illinois. The bill requires a carrier to approve or deny a request within 72 hours of receipt, and in expedited cases, within 24 hours. [Medicare Part D standard]. Carriers must provide a reason for the denial, an alternative covered medication, if applicable, and information regarding how to appeal the denial. Currently, these provisions apply only to health plans on the Exchange and were approved in HB 3638 by a vote of 114-0-0 in the House and 45-3-3 in the Senate in 2014. Medical exceptions requests shall be granted for 12 months or until the renewal of the plan. 2010: Prison Medicaid Bill : 96-0872 IPS introduced and passed this bill. At the time, if an offender entering prison had Medicaid benefits, those benefits were terminated at the time of entrance into prison and thus the prisoner upon discharge would have to reapply for Medicaid which generally takes about 3 months. This bill required that if an offender had Medicaid benefits those benefits were to be suspended and reinstated upon discharge. This has been very important with the passage in Illinois of Medicaid expansion. 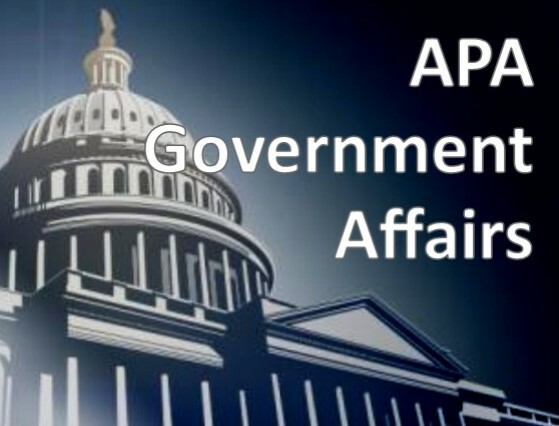 See what APA is doing at the national level.